Lee played in several movies and TV specials. 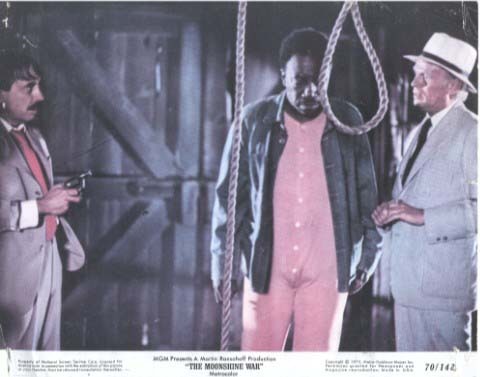 One of his finest roles was as Dual Metters in the unsuccessful MGM/UA film 'The moonshine war' (US, 1970) based on an Elmore Leonard novel. The movie was directed by Richard Quine. The cast consists a.o. 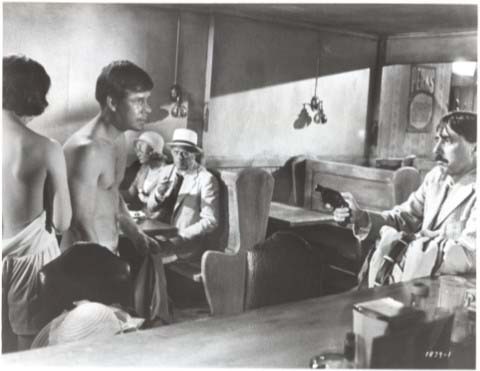 of Richard Widmark, Patrick McGoohan, Alan Alda and Will Geer. 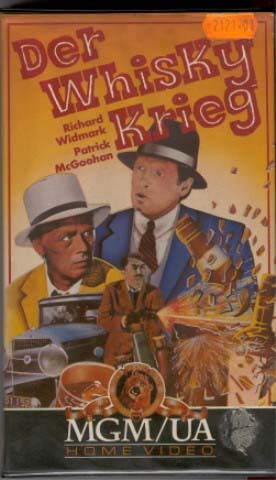 In this comedy drama set during the late Prohibition era, a federal agent attempts to make some real money before the alcohol ban is lifted. He sets his sights on the whiskey cache of an old army buddy, but just before they strike a deal, two ex-convicts frighten the buddy away. 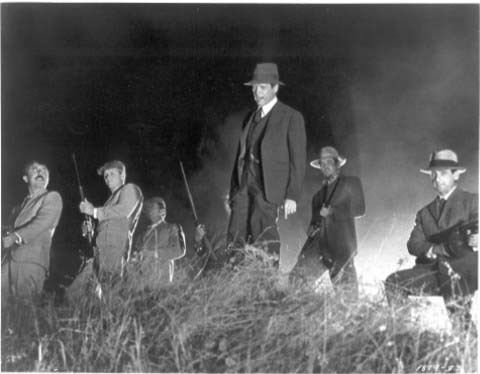 The creeps then murder the town sheriff and his deputy and begin looking to get a hold of the moonshine. The agent decides to help his friend defeat the thugs. One of the crooks ends up killing the agent and taking four locals hostage. In exchange for their lives, he wants all the whiskey. 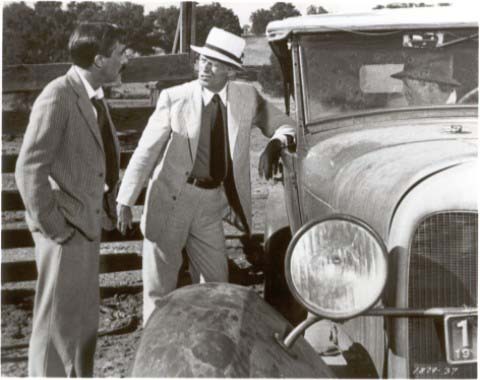 The moonshiner acquiesces and tells him that the booze is stashed in a graveyard. The greedy crook races off and begins digging. Unfortunately instead of hooch, he finds dynamite and blows himself up. To celebrate his death and the end of Prohibition, the town decides to have a blow-out of their own. Naturally the buddy provides the booze.' 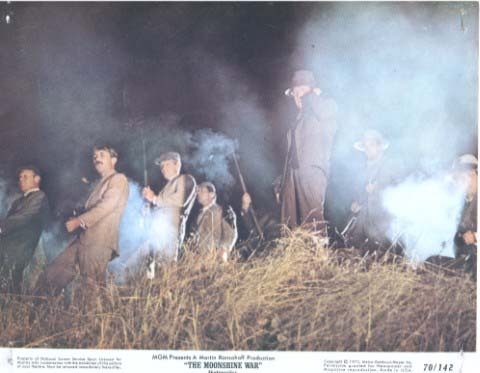 (Sandra Brennan, All Movie Guide) Some photos of scenes have been placed on this page. 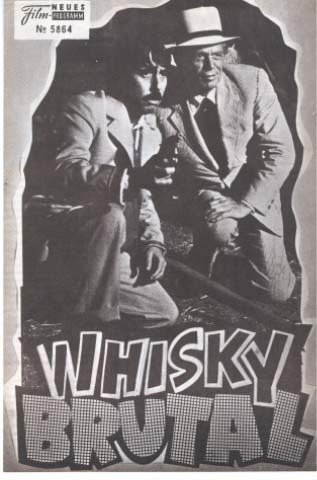 In Germany the film was synchronized in German and got as title 'Whisky Krieg' or 'Whisky Brutal'. 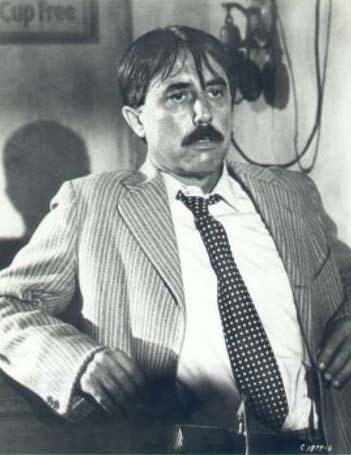 Other films in which Lee played a role were the Swedish film 'Smoke' (1970) and the film documentary 'A house safe for tigers' (Må vårt hus förskonas från tigrar') (1975) by director Torbjörn Axelman. 'A house safe for tigers' features a.o. Lee Hazlewood, Torbjörn Axelman and Inez Graf. Lee sings 'A house safe for tigers', 'The nights, 'Sand Hill Anna and the Russian mouse', 'Lars Gunnar and me', 'Our little boy blue' and 'Souls island'. 1969 'Love and other crimes' (Swedish TV) (47 minutes) Track listing: She comes running (video clip)/After six (accompanied by Donnie Owens)/Love and other crimes (video clip)/Rainbow woman/Chico (video clip, with Siw Malmkvist)/I say a little prayer (Siw Malmkvist, in Swedish)/Sleep in the grass (with Siw Malmkvist)/Instrumental (video clip)/First street blues (accompanied by Donnie Owens)/Instrumental (video clip)/I am, you are/Ode to Billie Joe (Siw Malmkvist, in Swedish)/Instrumental (video clip)/You've lost that lovin' feelin' (with Siw Malmkvist)/Rockgroup Made in Sweden/The beat goes on (video clip, instrumental)/Summer wine (with Siw Malmkvist). 1970 'Cowboy in Sweden' (Swedish TV) (60 minutes). The album has been made after this unique film. Lee and Nina Lizell sing all the songs of the album plus 'The nights'. With Nina Lizell, Suzi Jane Hokom, Lena Edling, Mark and Debbie Hazlewood, Rumplestiltskin (UK), Steve Rowland & The Family Dogg (UK) and The George Baker Selection (Holland). 1971 'Requiem for an almost lady' (Swedish TV) (32 minutes). Lee sings: I'm glad I never/If it's Monday morning/Won't you tell your dreams/I'll live yesterdays/Little miss sunshine (Little miss rain)/Stone lost child/Come on home to me/Must have been something I loved/I'd rather be your enemy. With The Hazlewood Kids: (Let's take a walk) Down Valhallavägen. Sven-Bertil Taube sings the Lee Hazlewood composition 'Why do they bother' (On Lee's 2002 album 'For every solution there's a problem' titled: 'Strangers, lovers, friends'!). 1971 'My friend Joe' (Swedish TV) (23 minutes). Lee introduces Joe Cannon who sings: Warm Miami sunshine/Toocie and the river/Mary count the days now/Don't have time to stay around here/Too much of a woman/Hej, me I'm riding/Lucille. 1972 'Nancy & Lee in Las Vegas' (Swedish TV) (60 minutes). Filmed at the Riviera Hotel in Las Vegas and aired on 13 January 1973 by Swedish TV 1. The documentary was made by well-known Swedish film director/producer (and friend of Lee's) Torbjörn Axelman and Lee himself and is historic and unique especially by the sometimes humoristic treatment of the subject by Torbjörn Axelman and gives not only outtakes of the show but also interesting background information by Lee, Nancy, Donnie Owens, Billy Strange, Nancy's mother a.o. 1973 'The N.S.V.I.P’s' (Swedish TV) (with Lill Lindfors) (30 minutes). This is the Swedish entry for the European Montreux (Switzerland) festival in 1973. Lee Hazlewood and Swedish female singer Lill Lindfors sing a.o. Harry Chapin songs. This Swedish entry won the Gold Rose Award of Montreux (first prize) and the press award. Lee and Lill Lindfors sing: 'Taxi', 'Dog town', 'Sniper' and 'A better place to be'. Lill sings 'Paris song'. 1974 'Lee & Ann-Kristin Hedmark at Berns' (Live appearance with Ann-Kristin Hedmark/25 and 26 October 1974). Lee sings a.o. 'The performer', 'You look like a lady', 'It was a very good year', 'Hello in there', 'Jackson', 'Summer wine', 'Sugar town', 'Some velvet morning', 'Houston', 'These boots are made for walkin'', 'Fire and rain', 'Come spend the morning', 'She comes running' and 'A better place to be'.